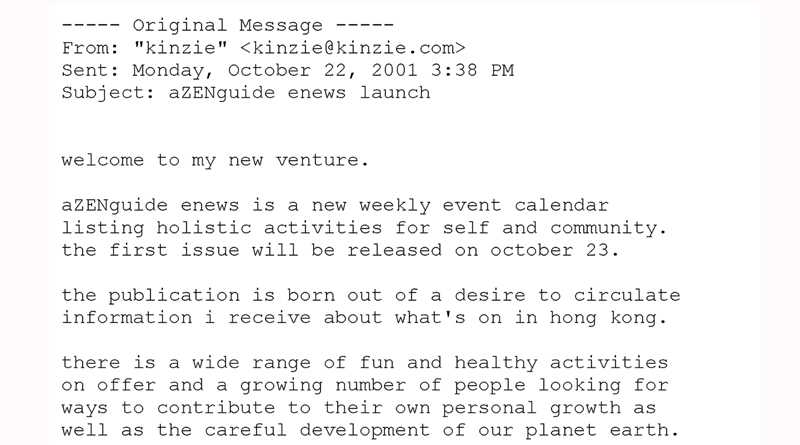 HK heartbeat started with a simple email in Hong Kong on 22 October 2001. Below is a screenshot of the message describing the new venture. The notice was delivered by email to Kinzie‘s network.